Good-bye Holden – Will the march of the machines be repeated in other industries? 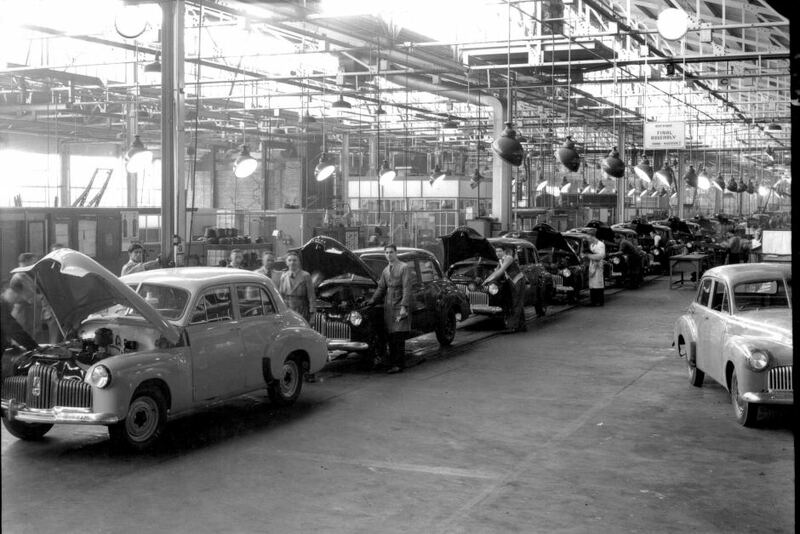 This coming Friday, 20th October 2017, the Holden plant shut the doors on a dynasty of manufacturing that has embedded in Australia’s DNA and left a legacy that can tell a story for the future generation to learn from. The Australian car manufacturing industry is one that has seen the full spectrum of advancement from predominantly manual labor positions through to near full automation of the manufacturing facilities. Even with these advancements, a high Australian dollar, high wages in comparison to other near-by geographies, and refusal of further government subsidies, Australia’s ability to out-last has taken its final blow and car manufacturing will no longer be part of the future. So much has changed, but this has taken a long time. Time is not at our advantage in the future as rapid technological advancement in other areas is rapidly encroaching upon other sectors who have been smugly observing manufacturing’s demise while thinking they can’t be touched. Most likely to be effected by the introduction of technology and artificial intelligence are sectors that have previously been the safe-harbors for jobseeker. I was told as a boy, that if you got a job with a Bank that you were “set-for-life”. Not these days! Besides Manufacturing, Banking is the industry tipped to be most affected. Our health is continuously monitored by biometrics that suggest balanced diets that provide the body with nourishment when it’s needed and we can go to the shop and buy these items pre-prepared and packaged ready for our arrival. The future seems grand with artificial intelligence – Yes, or No? The World Economic Forum has labelled this the “fourth industrial revolution”, and has tipped that 5 million jobs across 15 major developed and emerging economies will vanish by 2020. That’s not some far horizon, that’s in 2.25 years! These countries include Australia, China, France, Germany, India, Italy, Japan, Britain and the United States. Klaus Schwab, Founder and Executive Chairman of the World Economic Forum reported, “Without urgent and targeted action today to manage the near-term transition and build a workforce with futureproof skills, governments will have to cope with ever-growing unemployment and inequality, and businesses with a shrinking consumer base”. Having seen Holden’s car manufacturing plants and their evolution through technology still unable to abate the rise of the machines seems one that will dramatically change the career landscape for many people. Unfortunately, governments, legislation and workforce cultures aren’t within a lions-roar of readiness for the future and are simply failing to invest in a secure near-future world that will look significantly different to todays.